Produce the best quality Simmental cattle. We have produced the best quality Simmental and Simmental cross cattle in the Flint Hills of Kansas since 1970. 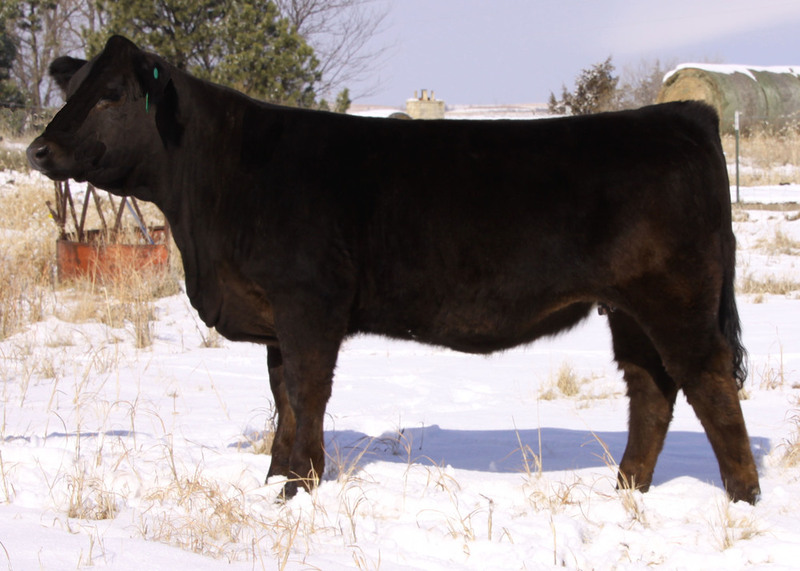 Dikeman Simmentals is located in the Flint Hills of KS near Manhattan. Our primary goal is to produce bulls for commercial cow-calf producers, but a few of our bulls have been purchased by seedstock breeders and AI studs. We maintain about 65 cows that are all AI sired and mostly homozygous black and homozygous polled. We emphasize a balance of phenotype, EPDs and Indexes, and disposition. We do a limited amount of embryo transfer using our own donors. We qualify for the American Simmental Association’s “Performance Advocate” program by submitting performance data from birth through yearling, including ultrasound data, on all calves retained as breeding animals. We are selling 9 heifers in our bull sale March 5, 2019. We have heifers that are bred to be productive when managed like commercial cows. Some of our females from previous years.